« When Did “Social Studies” Replace History and Geography in American Education? The problem of students who are unable to adequately read their grade-level textbooks is not new; the problem starts in early elementary school and only gets worse as students move up in grade levels. Unfortunately, the rise of the internet in the past twenty years has only exacerbated the problem. Let’s look briefly at the pre-internet reading situation in middle-class schools and above (poor schools have additional problems which will not be treated in this particular article). 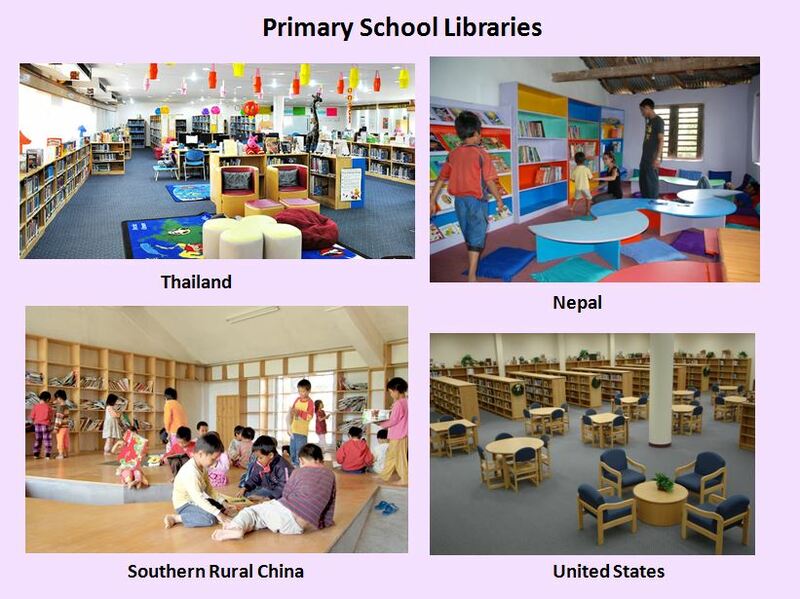 Looking back, the most important function of the school library was to be filled with books to be used for school research projects which were at the correct reading levels for students. Not only were grade-level books provided, but there were plenty of below-grade-level books on every topic available to readers who were still below grade-level. For example, a middle-school student with a lower reading level could still find good primary-level books on any research topic assigned. There used to be hundreds of books available through publishers, on every conceivable topic, for school libraries and public libraries to choose from. Bookstores made them available to the general public. Today, funding priorities are focused less on providing new books for the school library–partly because of the explosion of new topics and knowledge in our modern world, and also because of the explosion of information on the internet. Now funding must be divided between books, and new library computers. The market for children’s non-fiction has plummeted since 2005. Sales to both libraries and bookstores have dropped substantially. 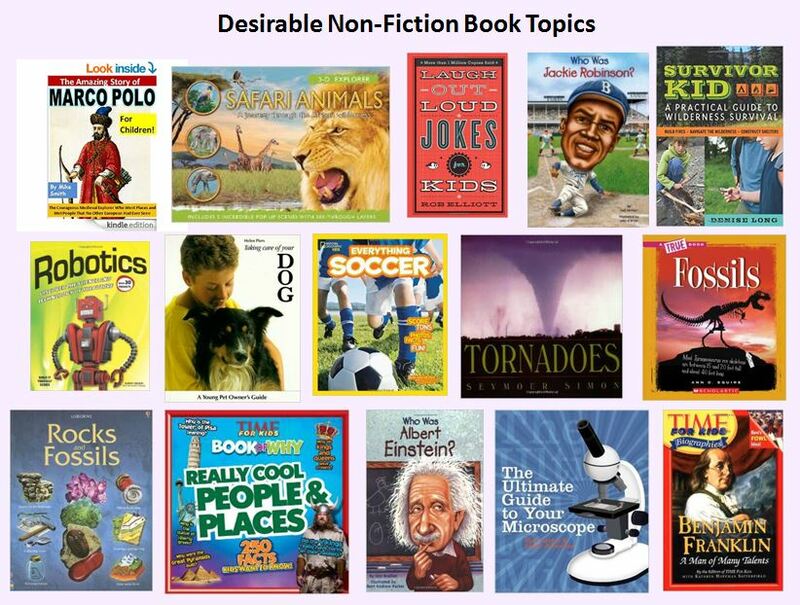 Therefore, fewer nonfiction books for children are being written and published. Publishers and booksellers decided to drop most nonfiction, and focus primarily on children’s fiction–for which there does continue to be a market. Starting in middle school–most commonly Grade 6 and above–teachers now direct students to the internet for research, instead of to school libraries. One reason is that science classes are now often researching topics which are not even available in books in the school libraries–things such as genetics, and various types of cells–and this is happening in Grades 6, 7, and 8. Using online sources creates a much worse problem–aside from the problem of whether a source is reliable, biased, or incomplete–that is, the problem of reading level! 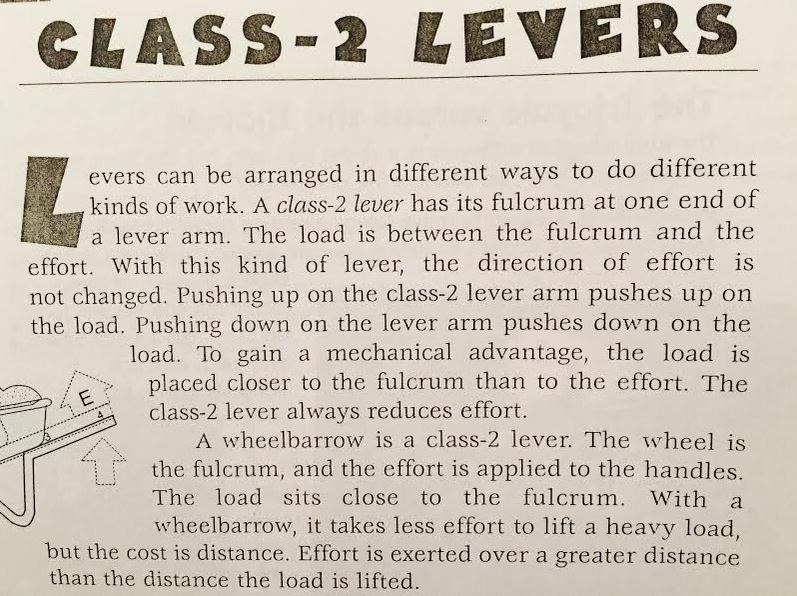 Below is reading sample from a Grade 5 science text which more than half of students (even in good schools) might find too difficult to read without the teacher’s help. Why? Because students are now used to reading only fiction in reading class. They are not used to the vocabulary in non-fiction; nor are they used to reading expository sentences..
Not only have student reading levels declined in real terms, but the sources students are now attempting to use are usually written at far too high of a level for their age. Students in middle school and high school usually go first to Wikipedia (and are often specifically told to do so by their teachers, particularly in international schools that have much less access to English-language printed material). Unlike school library books or school text books of old, vocabulary is not controlled for difficulty. Sometimes the articles are poorly written, and written by scholars who are just trying to impress other scholars with their difficult vocabulary. 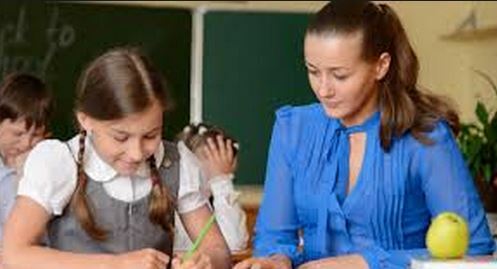 Those students who can afford it hire private tutors. My students show up and say, “I have a project or report due next week on glial cells (or guard cells, or an obscure historical figure). Can you help me?” Students arrive knowing nothing about the topic, and are expected to research on line, and write a report listing their sources. So, together we look on line and usually find very scholarly articles, which I, as an excellent reader in my 60s with a graduate degree and decades of experience teaching, sometimes have trouble understanding! So we pull out little snippets of information from various articles, which I explain in plain English and then mark our source. Even many Wikipedia articles are written by scholars, seemingly just in order to impress other scholars! I learned a great trick years ago when I was in a professional writers’ group. If you need good, concise information on an area or a subject, one of the best ways to find it is to go directly to children’s books, where you can find the information thoroughly distilled and written in clear, easy English. I use this same strategy now and show students how they can search on the internet using the search terms “my topic + explained for children.” It doesn’t always work, but it often does. Sometimes we arrive at a website where something has been clearly explained at a reading level appropriate for middle-school students. The thing which most excited me about the internet when it first began, especially as an overseas teacher with little access to English-language reading materials, was its potential as a world library at our fingertips. Sadly, much of this potential is being lost for two reasons. First, children are not developing adequate non-fiction reading abilities to function in society. Second, most of what is available on the internet is written at far too high of a level for students to be able to benefit from it. In most American schools, for the past several decades, the textbook has been seen by teachers as only one resource of many for classroom use. In fact, years ago, over-reliance on the textbook was almost seen as the mark of a lazy teacher, within the teaching profession. Unfortunately, the current result of this attitude has now led to teacher over-reliance on the internet, with students who are unable to understand either their textbooks OR the internet! I personally have come around 180° to the view that students would be better served if they learned and discussed in class everything which is in the textbook. Now, however, there is a new problem! Many schools are now moving entirely away from textbooks as a way to save money, and teachers are mostly downloading random worksheets from the internet. Unfortunately, it is students who are again losing out on their education. Part II of this series will discuss what parents, schools, and teachers can do to address these problems. This entry was posted on April 30, 2015 at 2:23 am and is filed under American Culture, American Schools, Australia, Belize, Books, Boys' Problems, Britain, British Schools, Canada, Education, Egypt, Elementary Education, England, English Teaching, Expats, France, Girls' Problems, High School, History Education, History Teaching, India, Indonesia, Intercultural, International Business, International Schools, Ireland, Japan, Learning Disabilites, Libraries, Literacy, Literature Teaching, Netherlands, New Zealand, Parenting, Reading, Schools, Science, Science Teaching, Scotland, Secondary Education, Singapore, South Africa, Student Behavior, Student Motivation, Student Reading, Student Writing, Students, Teacher Preparation, Teachers, Teaching, Teaching English, Teaching Geography, Teaching History, Teaching Science, Teaching Social Studies, Teaching Technology, Teaching Writing Skills, Tutoring, UK, what to do about students who don't do their homework. You can follow any responses to this entry through the RSS 2.0 feed. You can skip to the end and leave a response. Pinging is currently not allowed. It is a universal problem, I realise. How do we ensure that students open at least their text books and read? Chitra, we can’t always get students to read at home. It’s better if we read in class as much as we possibly can, but make the reading an interactive experience with great discussion that makes the reading relevant in students’ current lives. This will encourage them and motivate them to open the book further, at home.